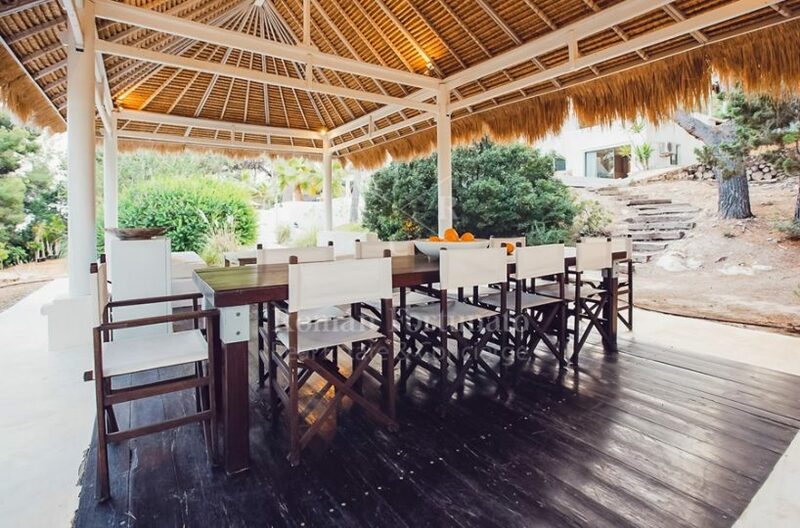 Enjoy chilled-out days and nights at the hottest spots at Villa Maxi. 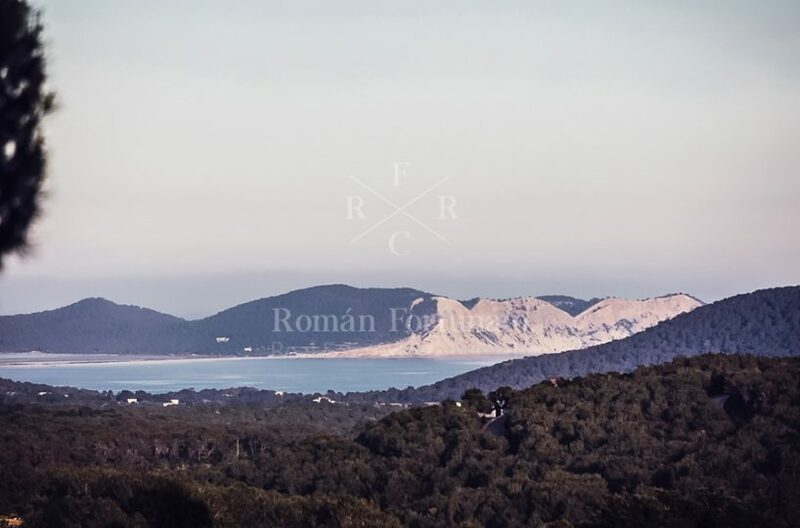 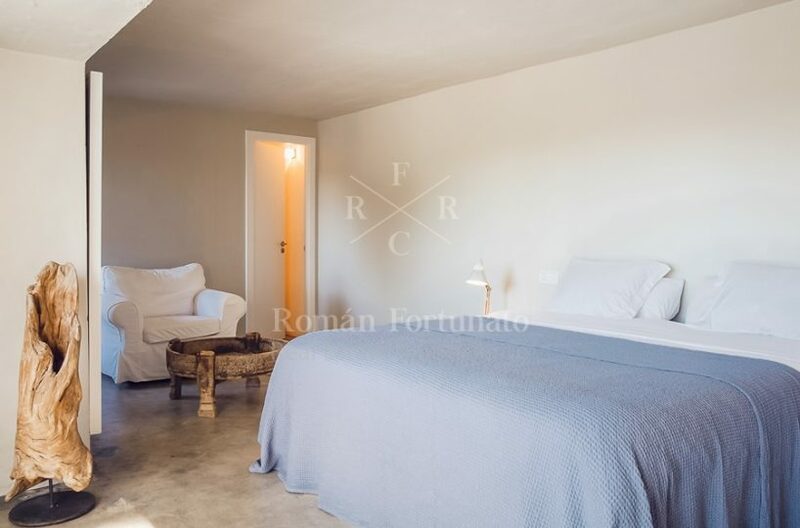 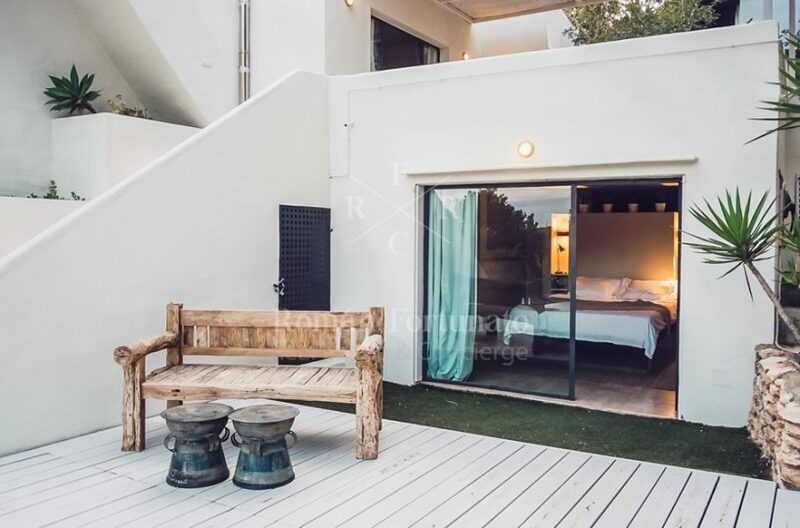 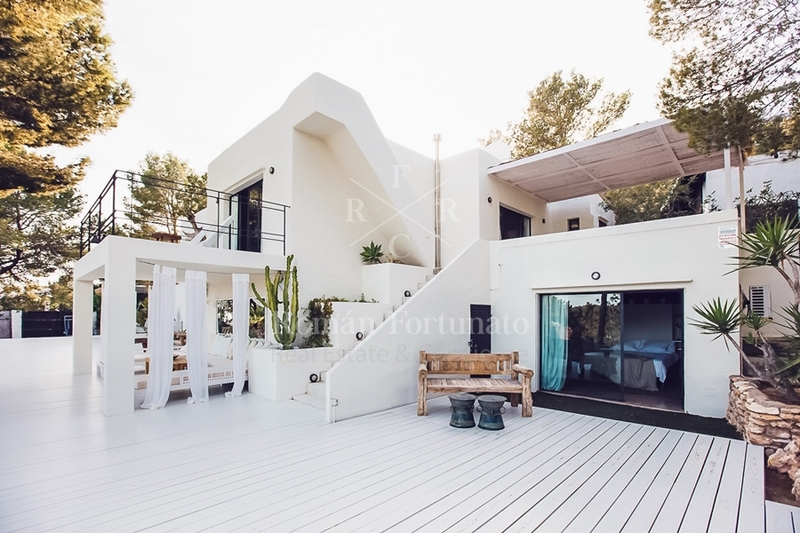 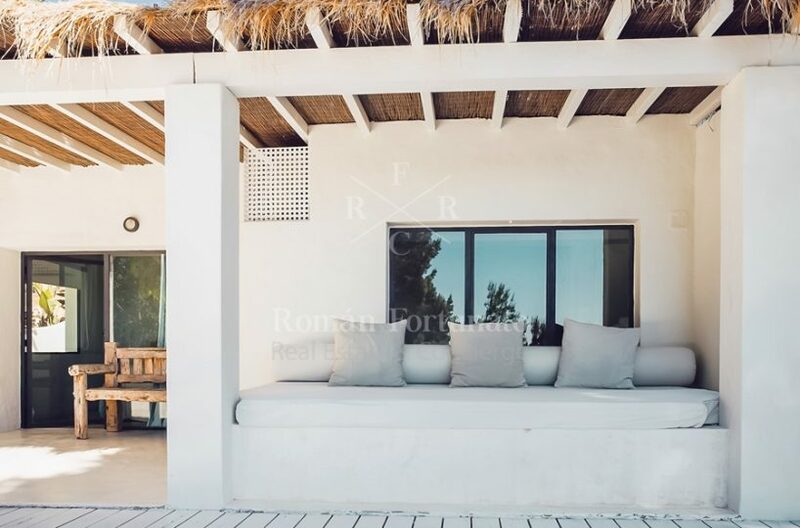 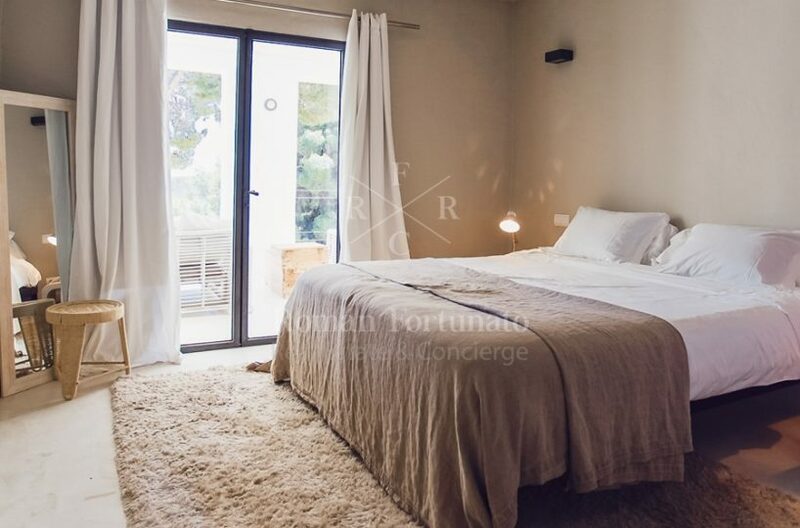 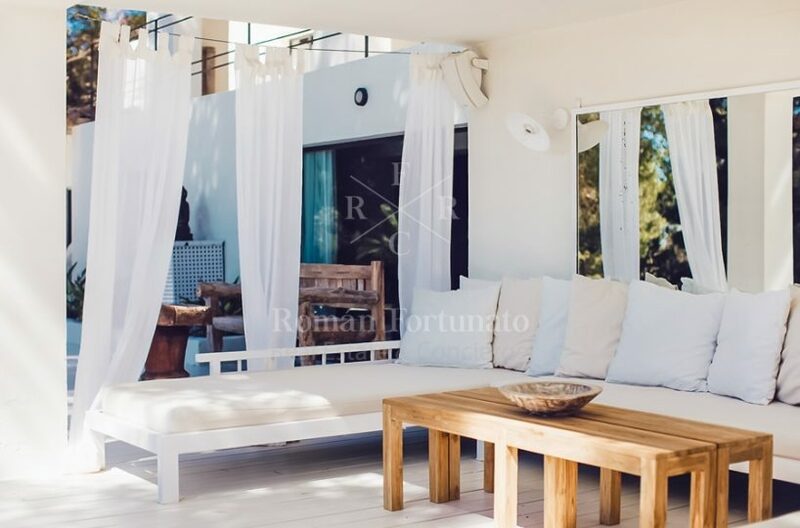 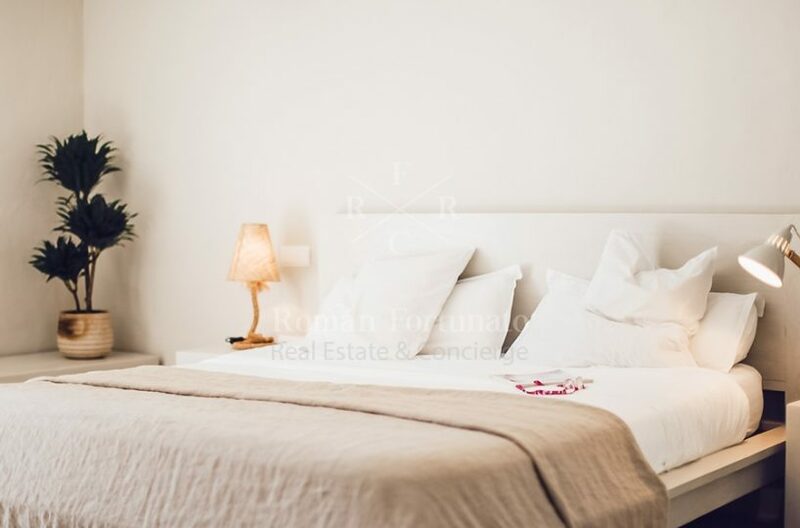 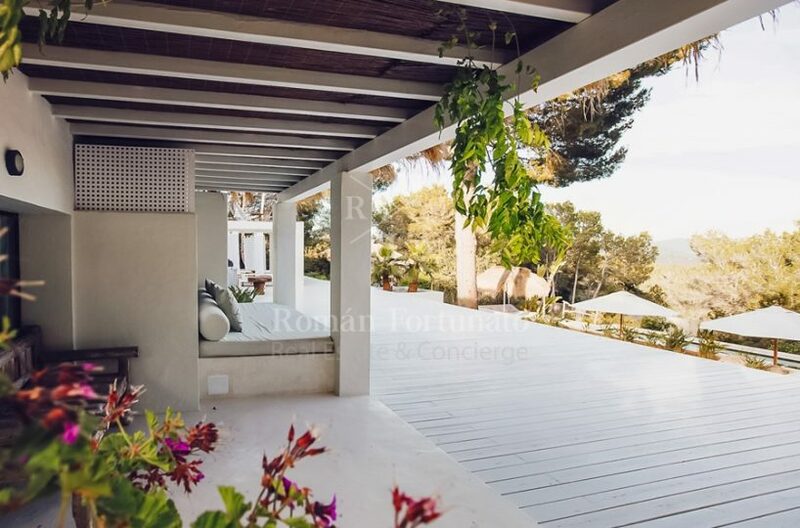 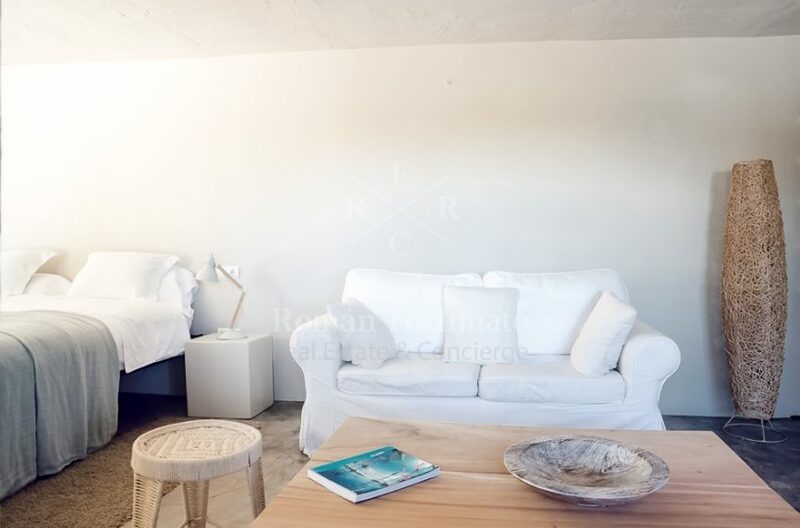 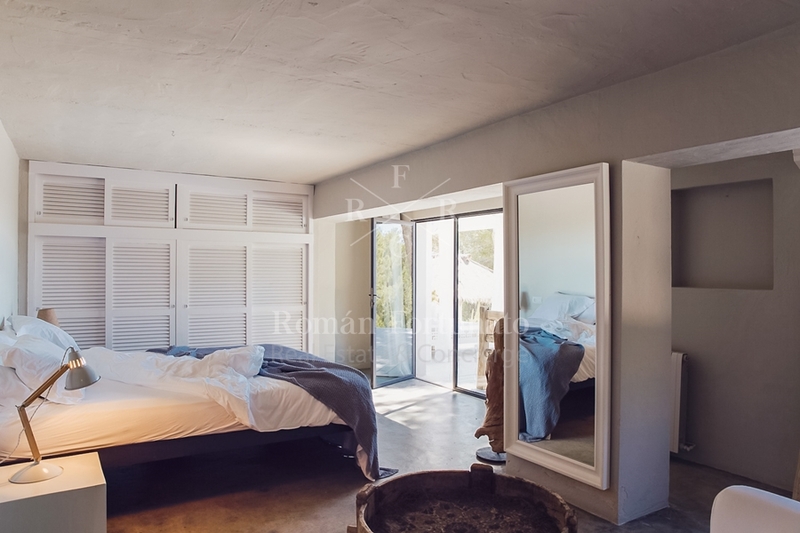 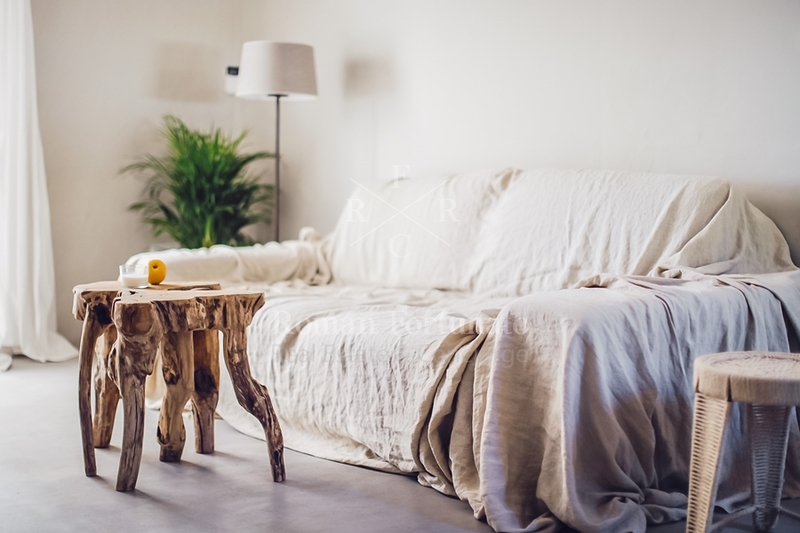 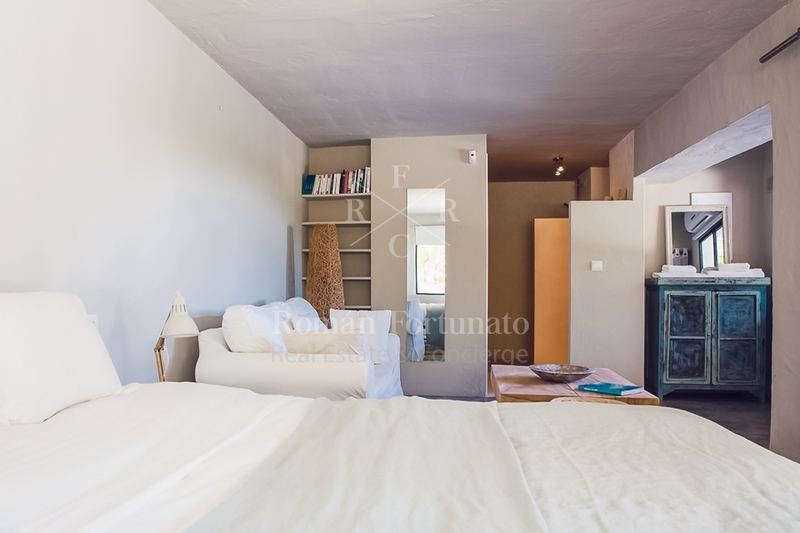 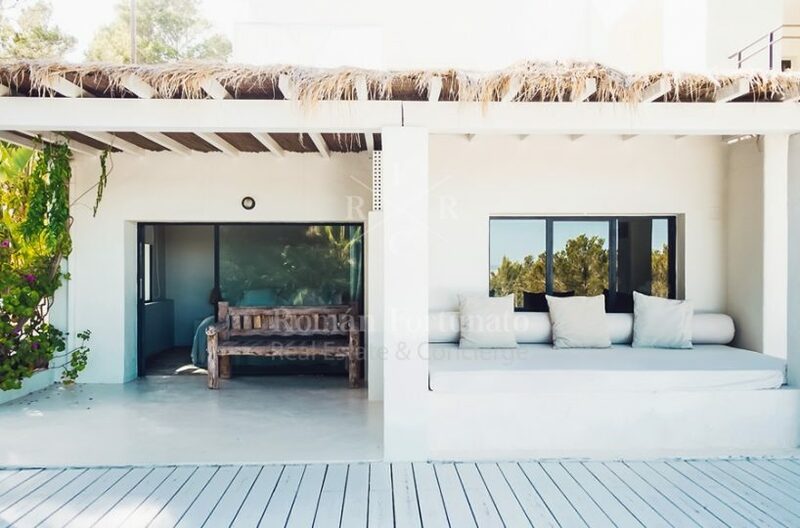 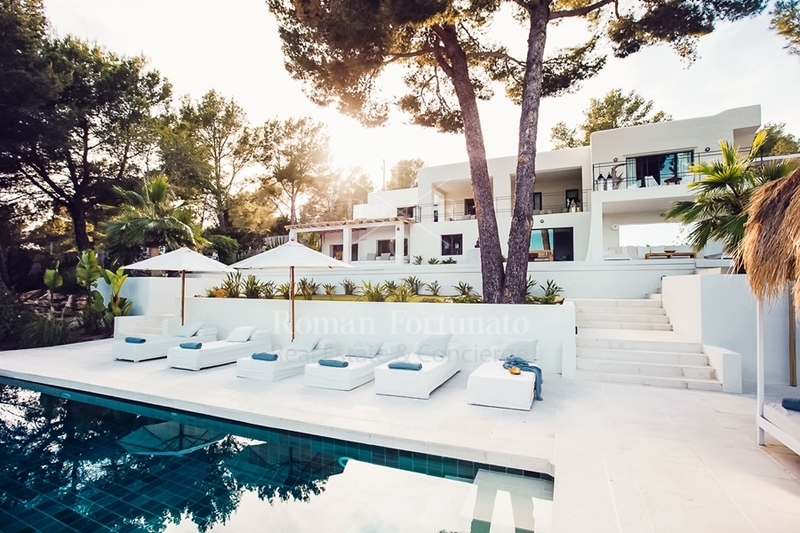 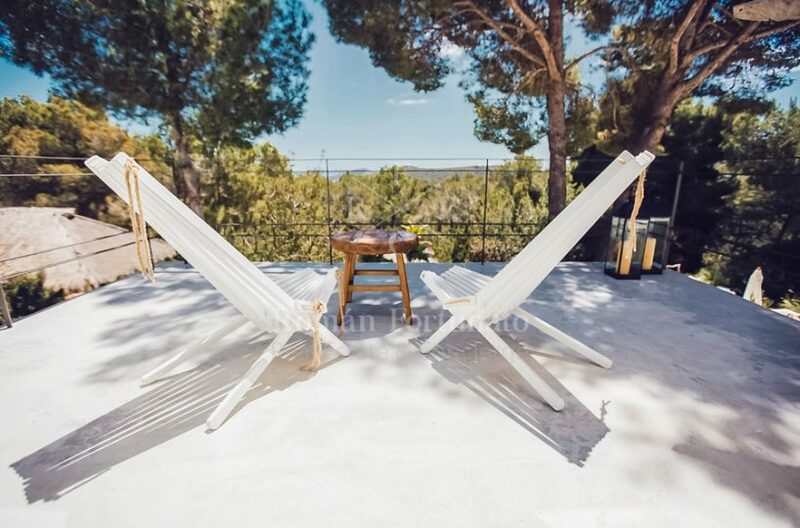 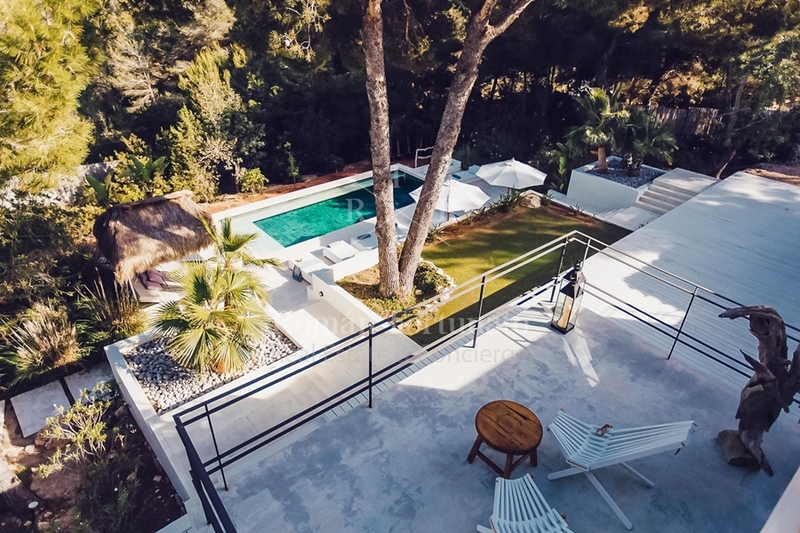 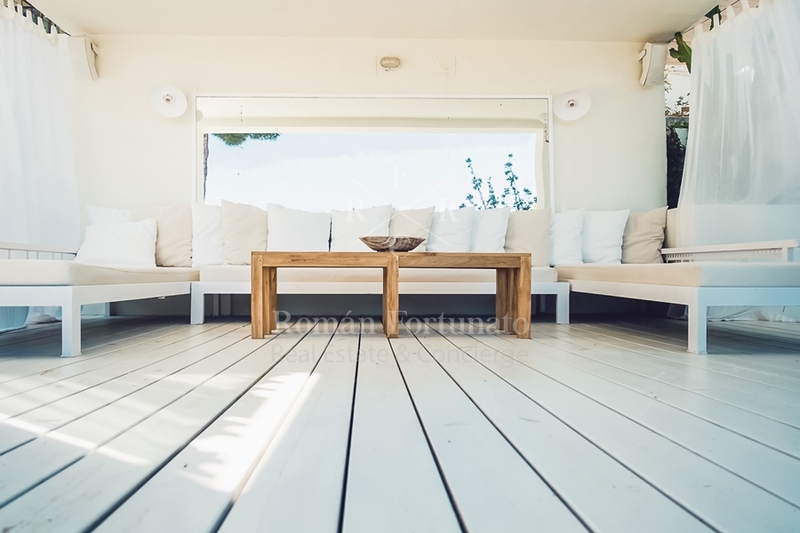 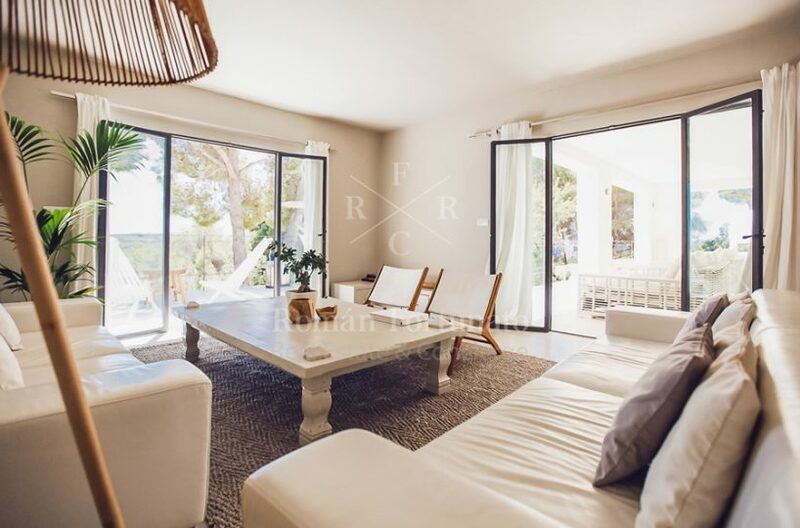 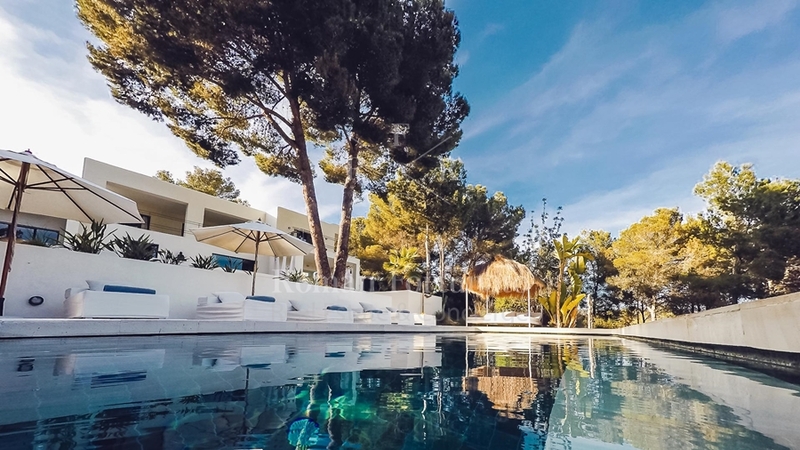 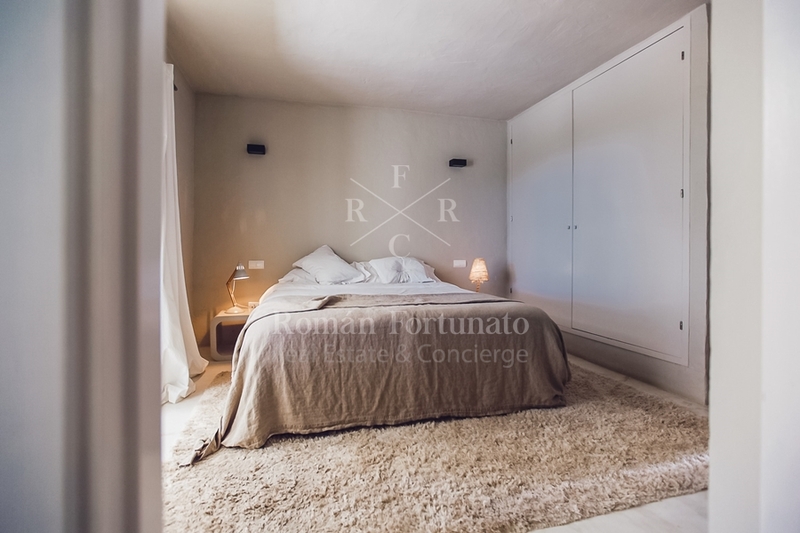 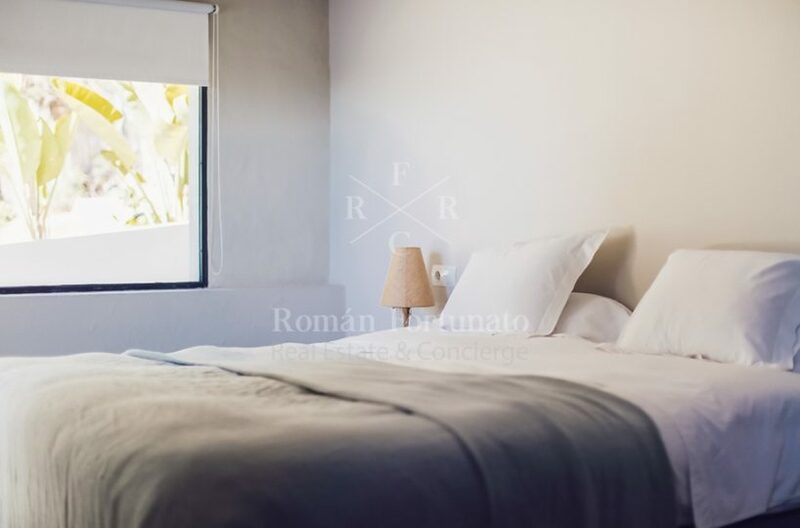 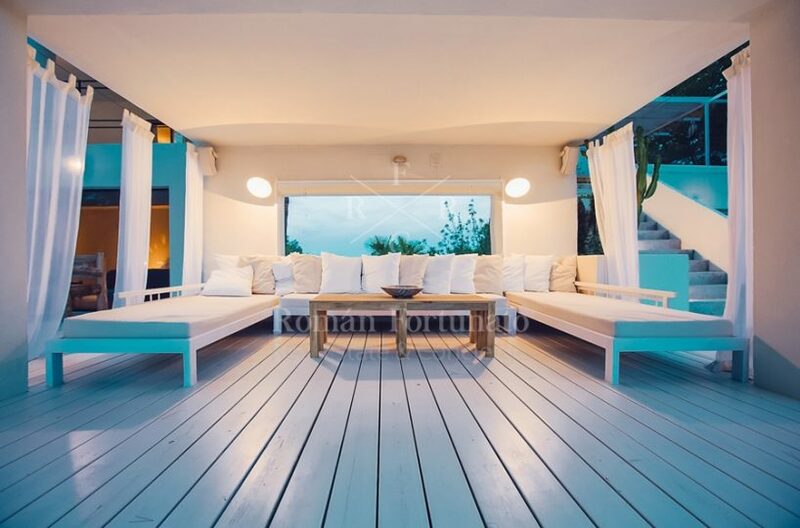 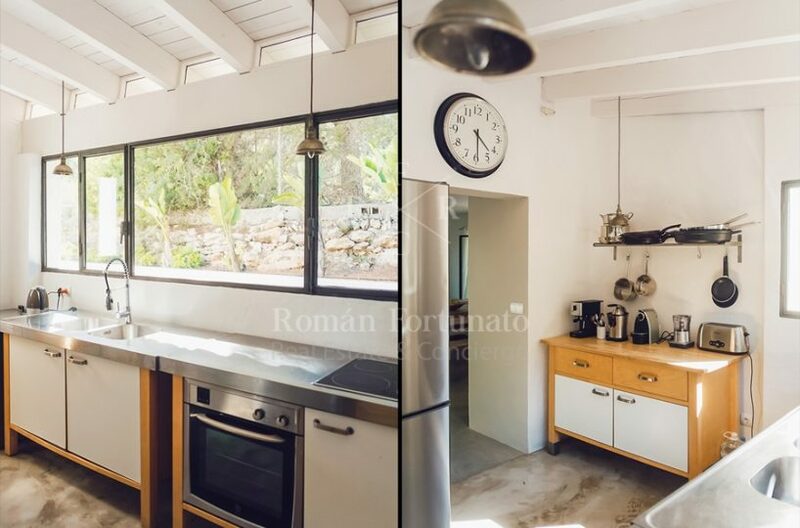 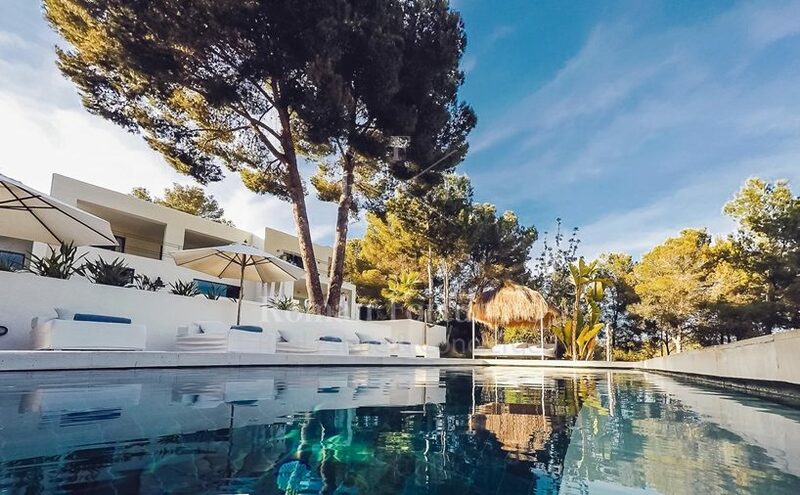 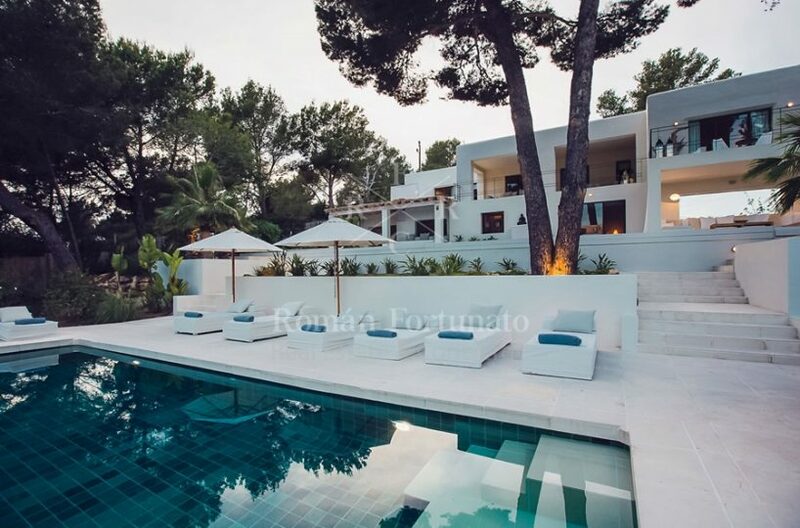 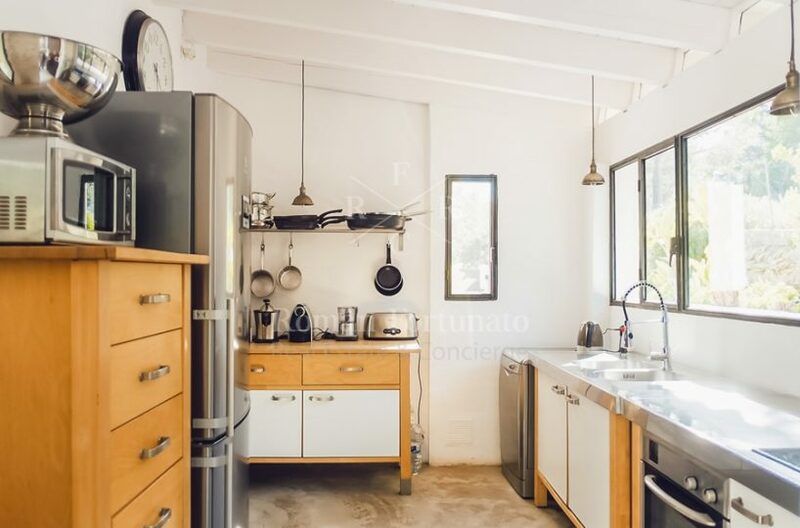 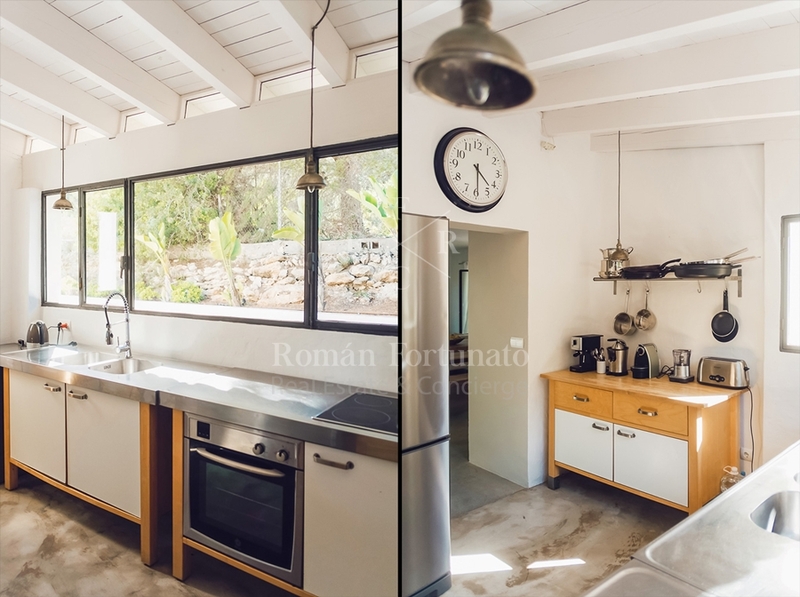 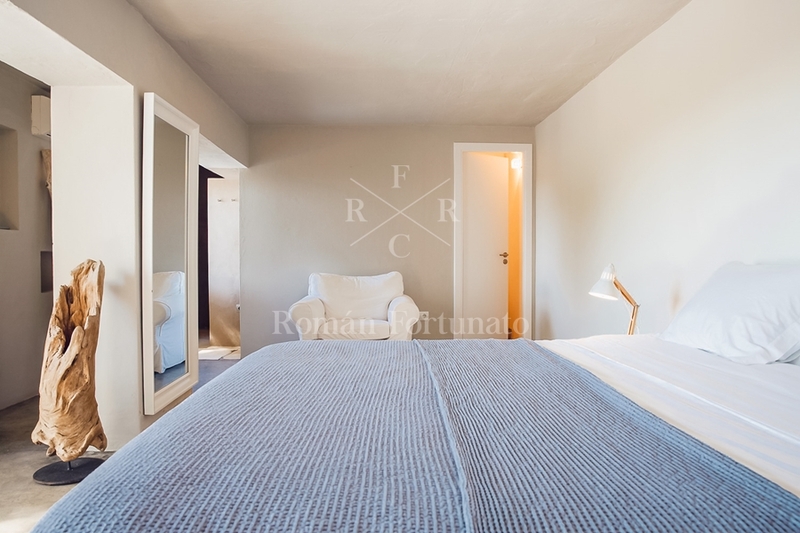 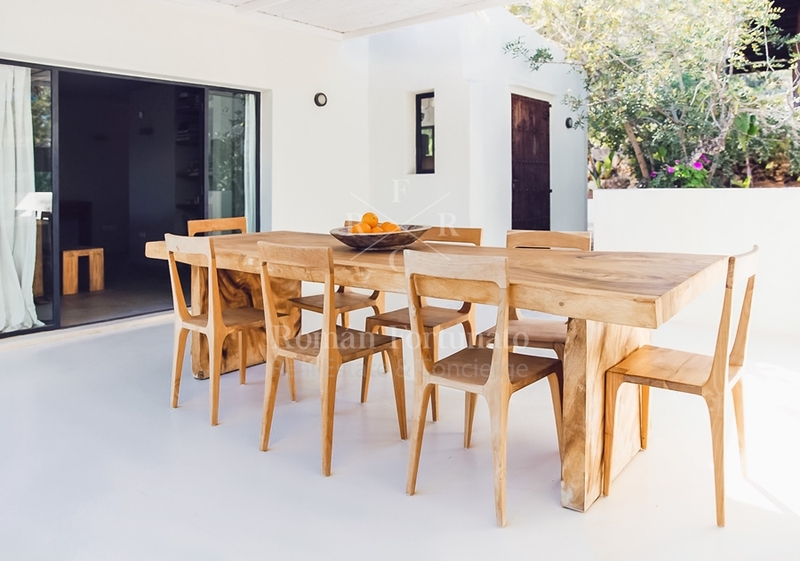 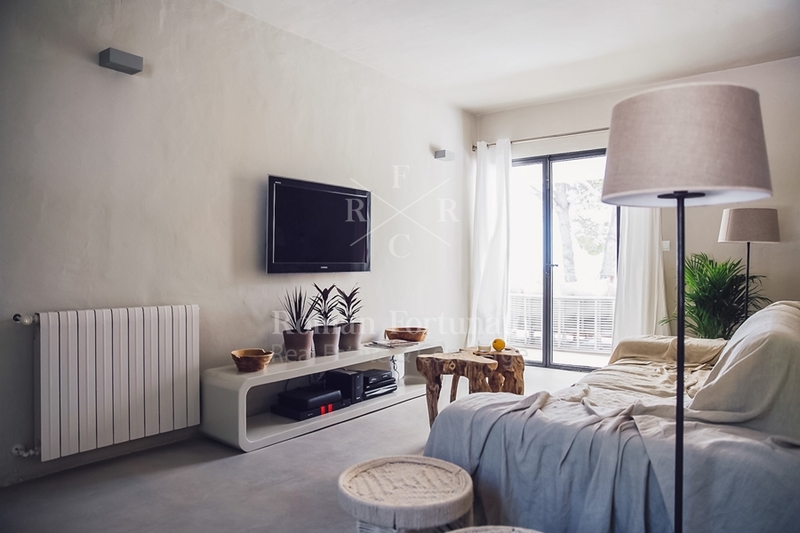 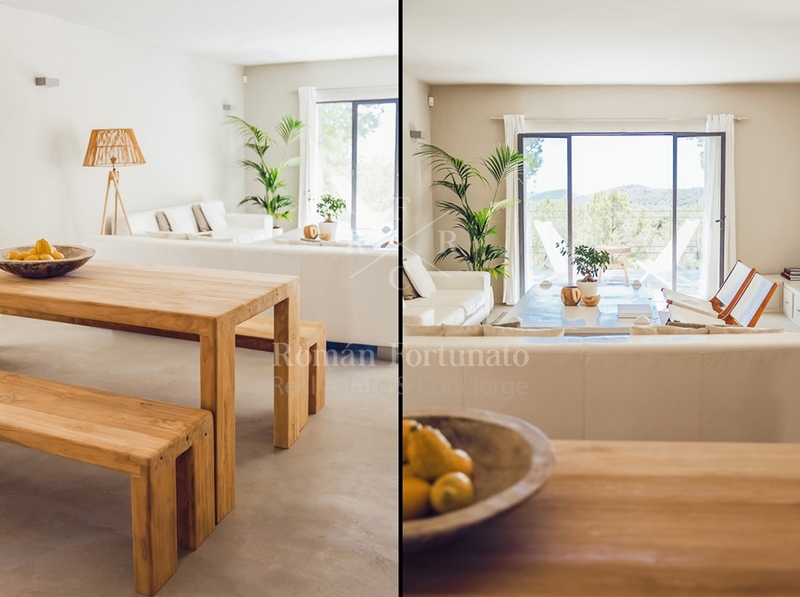 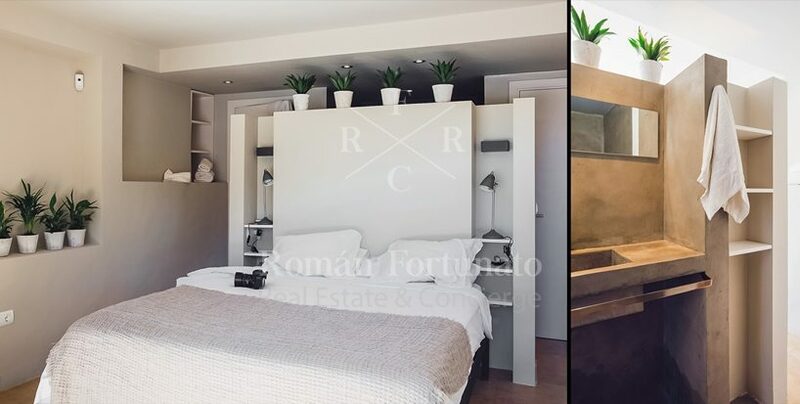 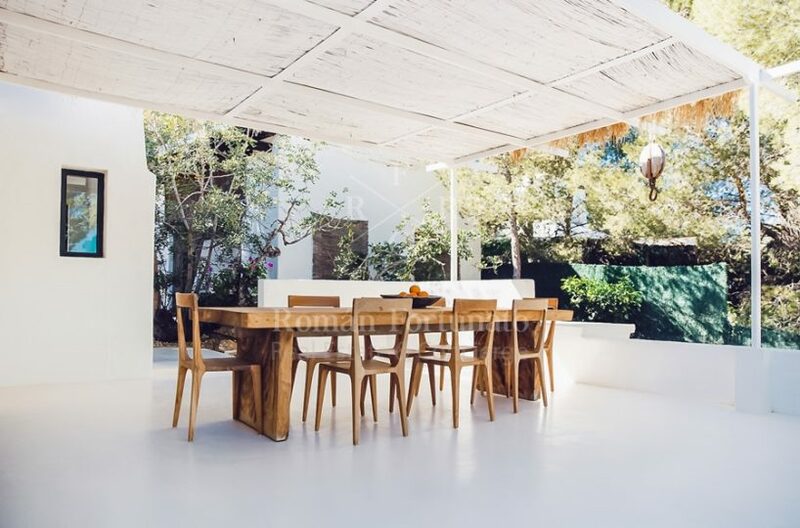 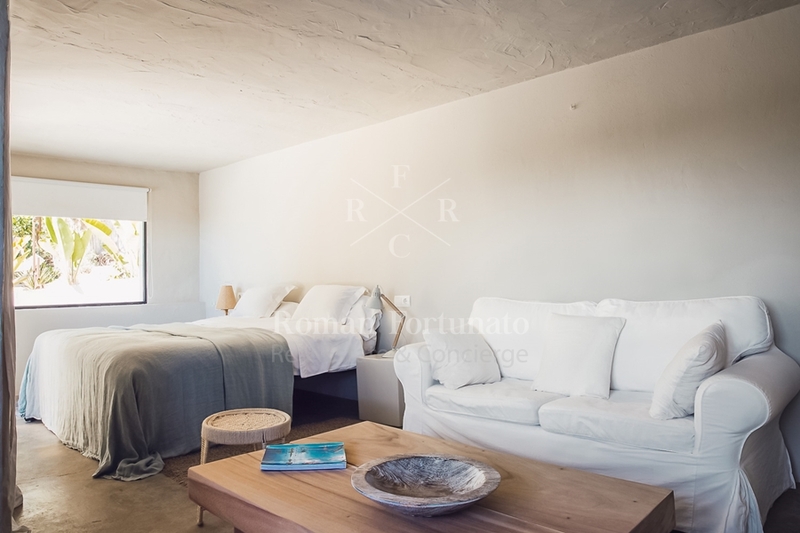 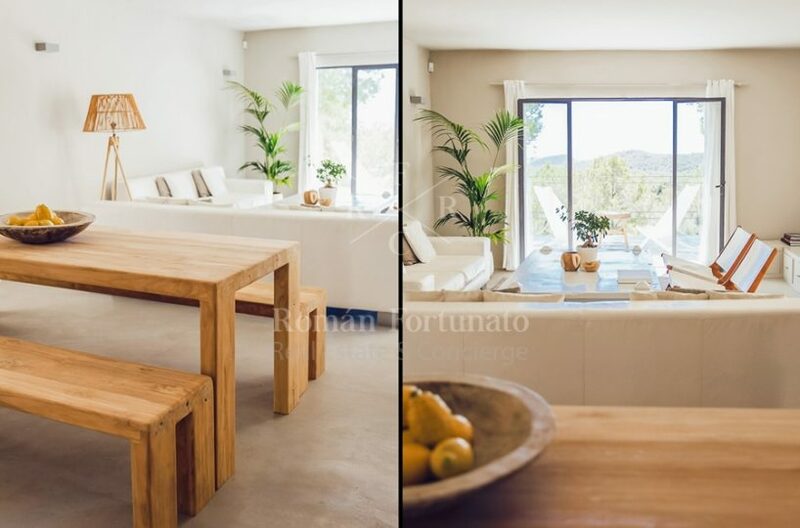 Not only is this Es Cubells vacation rental close to restaurants, bars and beaches, it’s a short drive from both Sant Antoni de Portmany and Ibiza Town. 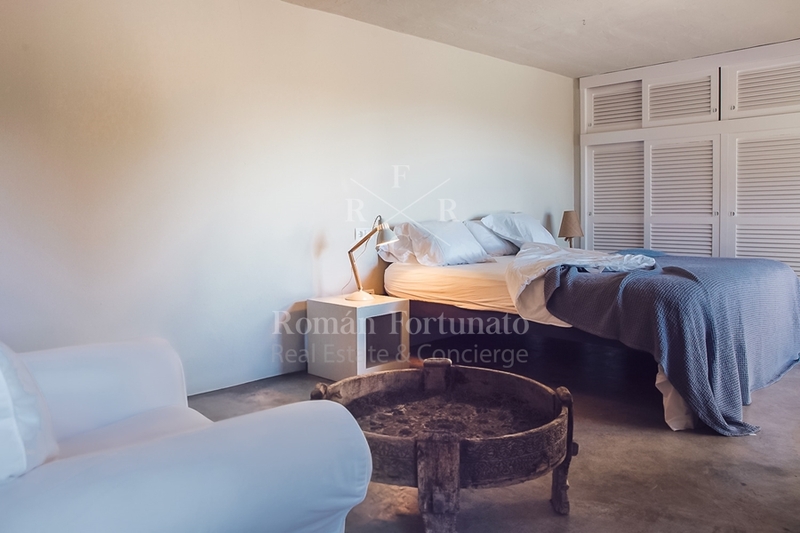 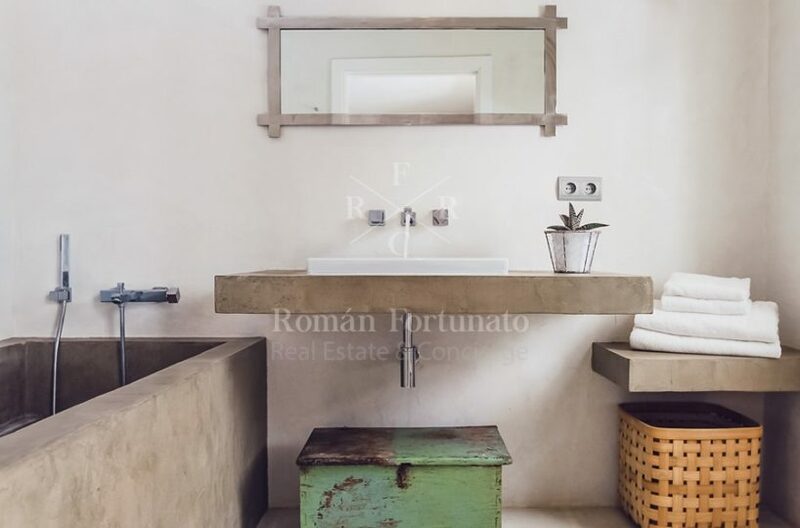 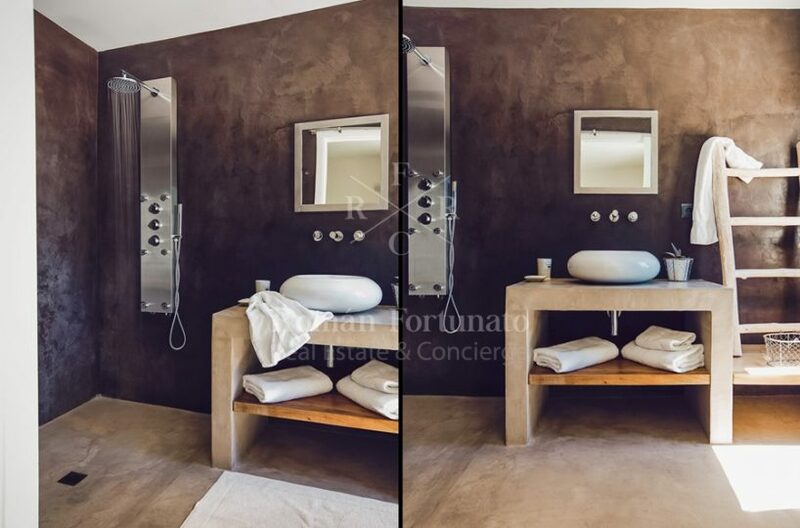 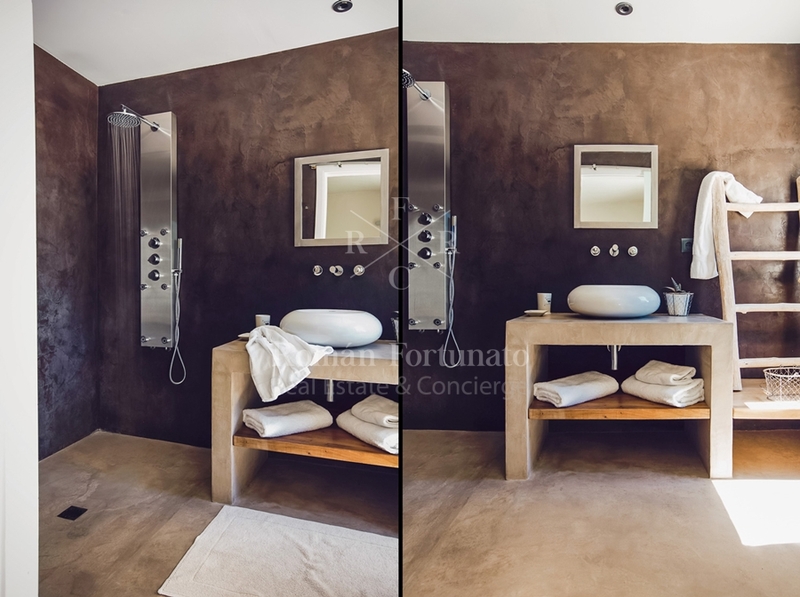 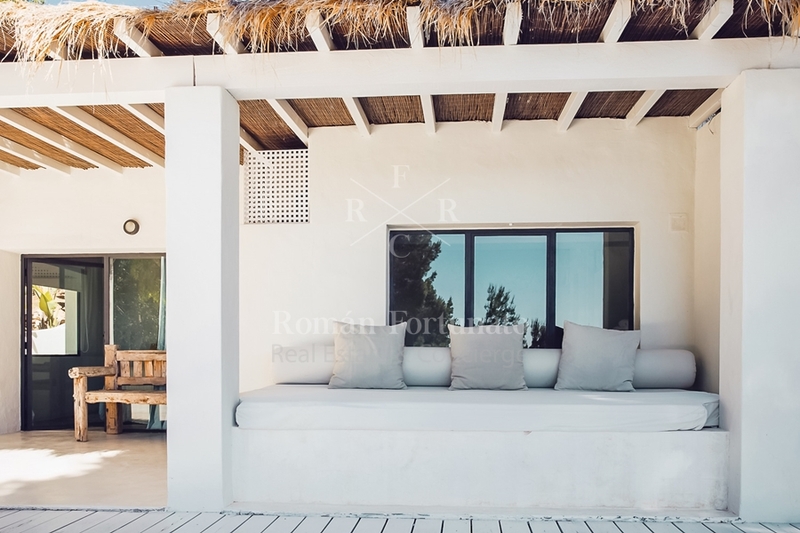 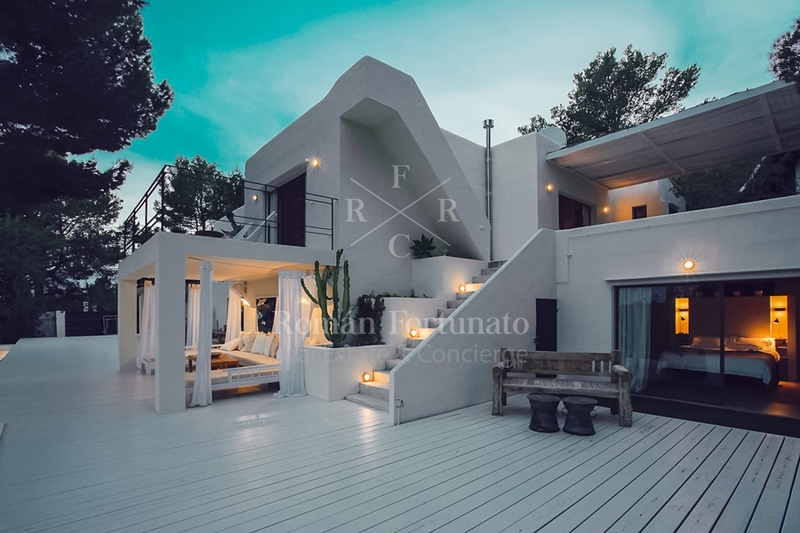 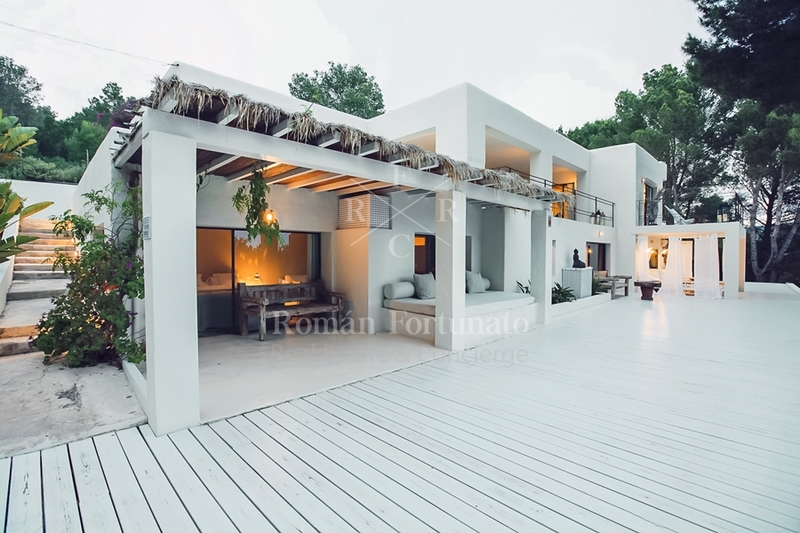 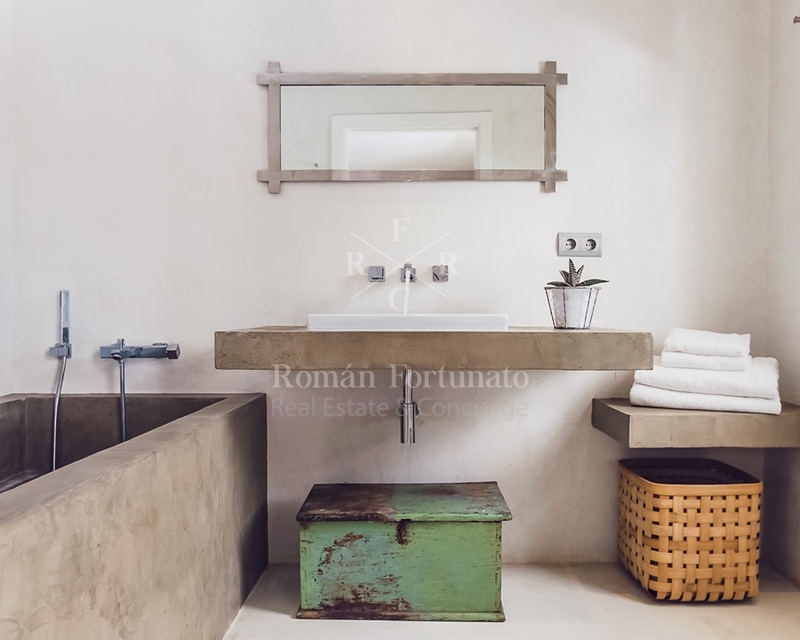 Treat this beautifully appointed contemporary home as your own private resort, or as a base for exploring the island. There’s plenty of room to relax or entertain in the villa’s outdoor living spaces, with sitting and dining areas in the sun and shade, and a spectacular pool. Stretch out on a lounger or daybed, challenge friends and family to a game of ping-pong, try out fresh seafood on the barbecue and start the evening with a meal at one of two al-fresco dining tables. 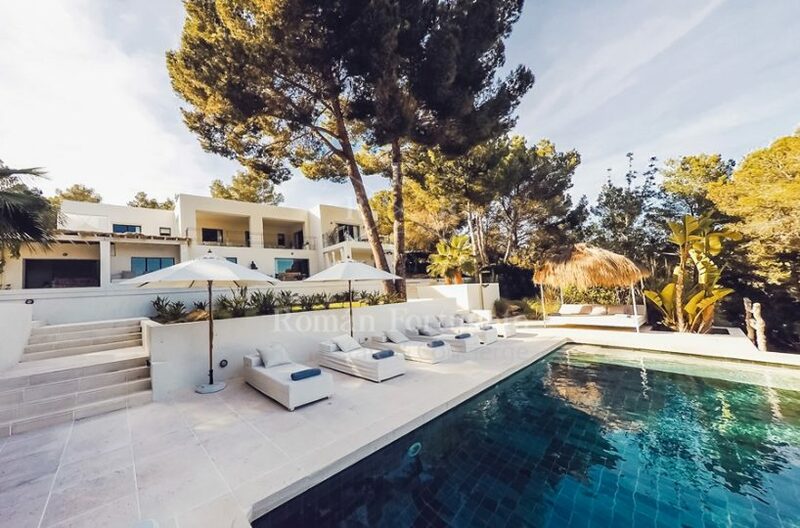 When you’re not taking advantage of the island’s legendary nightlife, unwind in the TV room or share holiday photos via Wi-Fi.